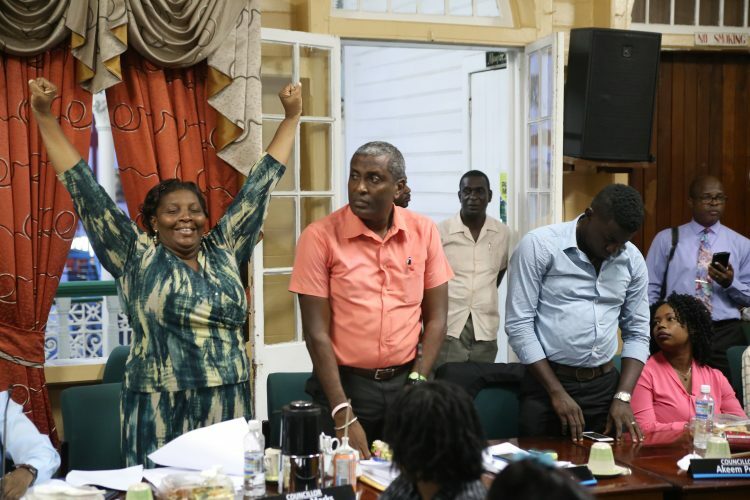 Team Legacy Councillor Carolyn Caesar-Murray (third, from left) yesterday voted for the continuation of the parking meter project in the city along with APNU Councillors Heston Bostwick (left) Noelle Chow Chee (fourth, from left) Oscar Clarke (fifth, from left) and Welton Clarke. After four hours of intense debate, the Georgetown City Council yesterday voted by majority to continue the metered parking system with concessionaire Smart City Solutions (SCS), pending a renegotiation of the controversial contract with the company. The vote will likely lead to another showdown between the city and vocal opponents of the deal. Just before 6 pm yesterday, 13 of the 25 councillors present decided to return to the negotiation table so as to address and resolve all of the points/findings listed in the report of a renegotiation committee that had been set up by the council. The other 12 councillors rejected this option, with five of them voting in favour of completely rescinding the contract, while seven voted in favour of the council delaying a decision until the High Court rules on the legality of the contract. 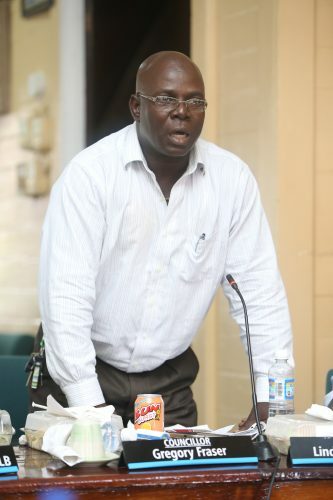 In the first example of non-partisan voting at the level of the new council, six APNU councillors voted against the majority, with one member of the PNCR, councillor Gregory Fraser, casting his vote with AFC and PPP/C councillors. Fraser long with Deputy Mayor Lionel Jaikarran, former Deputy Mayor Sherod Duncan and the two PPP/C councillors voted to have the contract completely rescinded, leaving the city without metered parking. The other five APNU councillors threw their support behind Chairman of the renegotiation committee Malcolm Ferreira, who called for the council to defer any decision until after the High Court has ruled on the legality of the contract. Also voting for this option was AFC Councillor Carlyle Goring. Meanwhile, Team Legacy Councillor Carolyn Caesar-Murray voted with the majority to continue the contract. 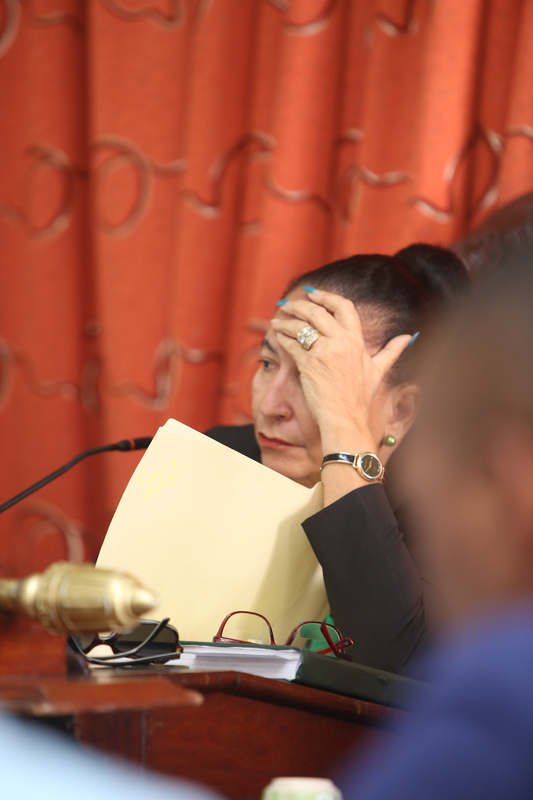 She told Stabroek News after the meeting that the main influencing factor for her was the Attorney General’s review of the contract, which found it to be legally binding. APNU Councillor Gregory Fraser, who voted against the continuation of the metered parking project in Georgetown contributing to the discussions. Team Legacy Councillor Malcolm Ferreira, who served as the Chairman of the committee which examined options for City Hall, reiterates a point during the discussions yesterday. 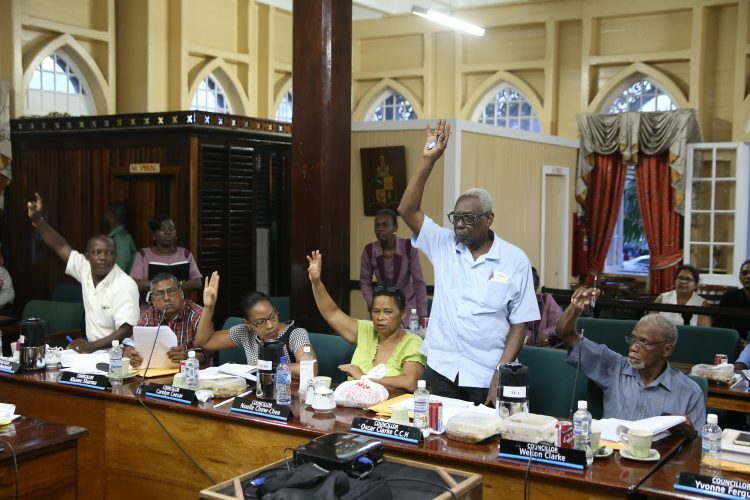 Mayor Patricia Chase-Green (standing) making a final point before she asked councillors to vote on the recommendations made by the renegotiation committee. “Option E (waiting on the court) challenges the legality of the contract. Since it was sent to the AG and they pronounced it legal, I am confident that it is legal. Option E also sends you back to the A, B, C or D, so selecting A now saves time and fast-tracks getting things done to make sure the contract is in line with the Municipal and District Councils Act,” Caesar-Murray explained. Ferreira, also of Team Legacy, referred to Caesar-Murray’s choice as a display of the democratic process. 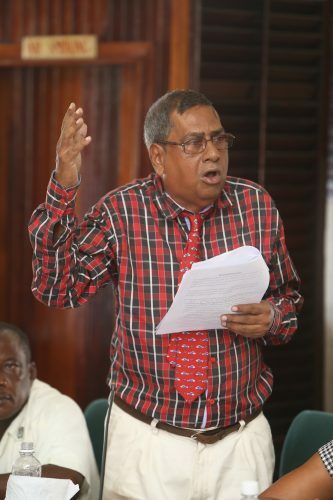 Speaking with Stabroek News after the vote, he said that while he felt more caution should have been shown and care taken by the council, democracy ruled. “You can’t say that you are protecting the city and not look out for repercussions but it is a democratic process,” he said. A temporary halt of the project was facilitated by the central government’s suspension of the bylaws in March, following weeks of protests by the citizenry about its implementation. The debate saw the city’s representatives regaling their colleagues with arguments which were at times impassioned and well researched and at others nonsensical and baffling. 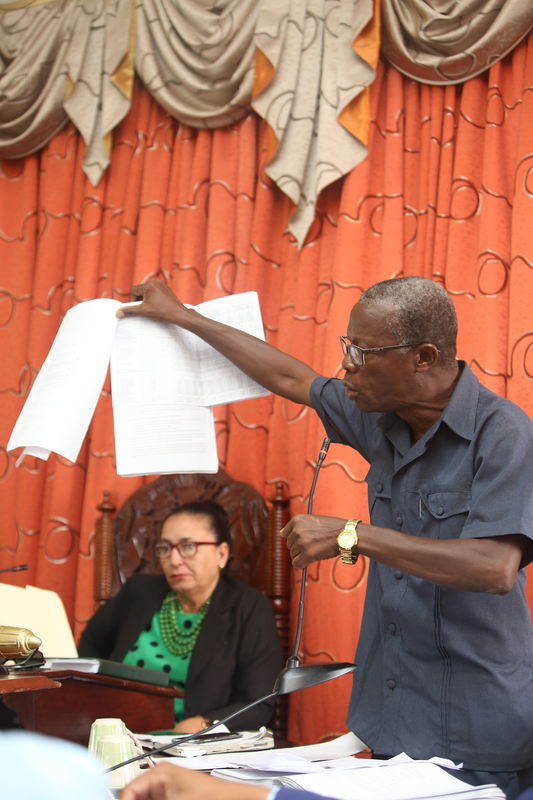 A clearly frustrated Ferreira declared during the debate that having extended maximum effort on the council’s behalf, he believed that it was in the council’s best interest to let the court decide the next step. 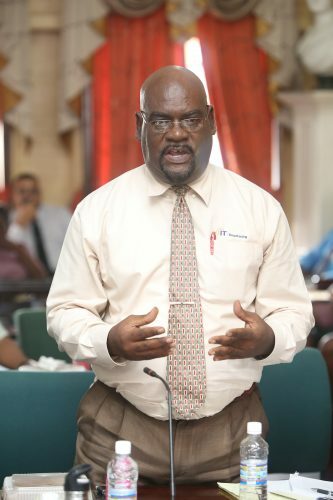 He implored the council to reduce its exposure to legal action through this delay, while noting that in the event the contract is declared illegal the city is exposed to possible lawsuits from every citizens who has paid for parking under the contract. He also noted that if it is declared to be a legal contract, any premature revocation opened the city to legal action from SCS. 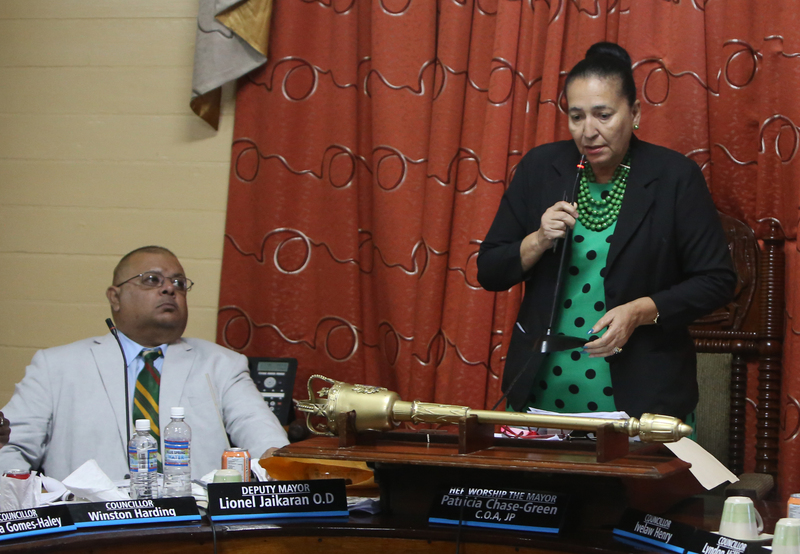 Ferreira urged councillors to remember that strong leadership requires independent thinking. “This is a serious issue which has affected… many residents… in a negative manner. It is absolutely necessary that kind consideration be given to those affected,” he said, while passionately defending the work of his committee. “I am very much prepared to defend this report. I have sat here for a year and a half. I sit when I am told to, observed protocol and showed respect but if you think anyone is going to attack this report and I won’t respond, you wrong. The journalist in me will respond. Try to discredit this report without any substance or evidence and by all means I gonna answer you and properly too. I stand here as an independent. 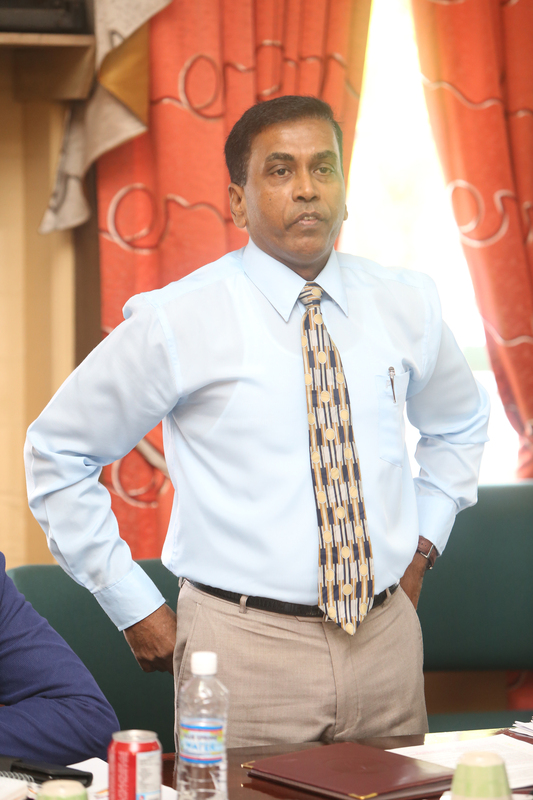 You understand?” Ferreira warned councillors. Less than 30 minutes later, he was forced to live up to his promise when Town Clerk Royston King attempted to claim that the committee stepped outside its mandate. Before he could even finish his sentence, Ferreira demanded to be heard on a point of order but his defence was unnecessary. It was Mayor Patricia Chase-Green who silenced King. Chase-Green reminded King that the full council had accepted the report in its entirety. “This council has voted to accept this report. I won’t hear anything about the committee overstepping their mandate. You had time since this report was submitted to object to its contents and from then to today I have not received a submission from you. We have not asked you to speak on that,” she told King. King, who had come prepared with a detailed speech of at least three pages and a PowerPoint presentation, was repeatedly thwarted in his attempts to provide his own analysis of the material provided to the committee. By the end of the first page of his speech, Chase-Green had reminded him several times that he was not to refute the points presented by councillors, while Duncan had drawn his attention to the fact that under the law he could only give council the advice he was legally qualified to offer. “Unless I can see an LLB or LLC or some other evidence that the Town Clerk has a legal qualification, he cannot offer this council legal advice,” Duncan stressed. The question of the authority under which King signed the contract had been raised by several councillors, including Alfred Mentore and Fraser. 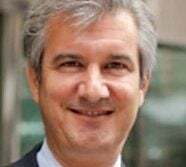 Fraser, who sat on the previous council, said that he did not recall being present at any meeting or seeing any document which authorised the Town Clerk to enter into a contract with SCS. “As a councillor, I would like to see the document which gave him the authority to sign this contract,” he repeatedly noted. Fraser also questioned how the city was able to provide City Constables to support the work of the parking wardens before urging council to have them in the streets now to make sure that order is maintained. He also noted that in seeking revenue council should concentrate its efforts on recovering the billions outstanding in rates and taxes. Fraser argued that in the absence of proper authorisation, the contract should be rescinded. This option was also supported by Duncan, who argued that SCS was a scam. “Smart City is not a company we can do business with. They have disrespected this council and the citizens of Georgetown,” he declared. 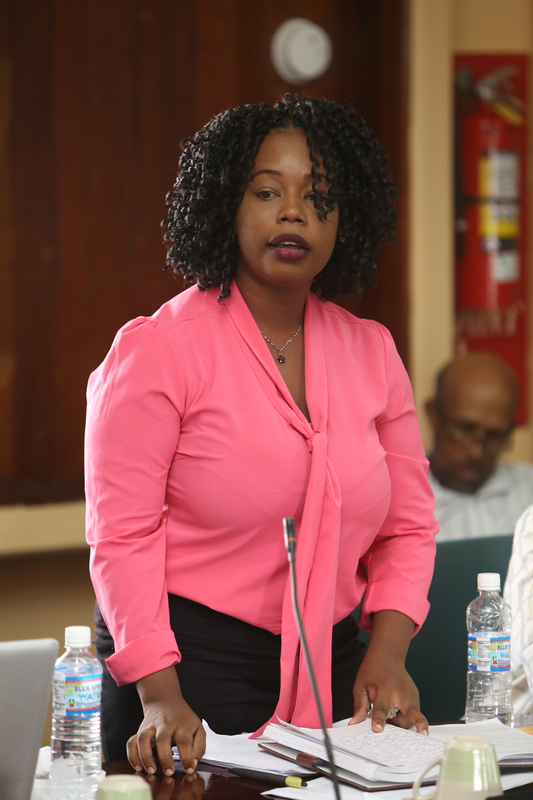 Those arguing in favour of continuing the contract included Councillor Ivelaw Henry, who argued that metered parking was an APNU+AFC project which was “ordained” since 1968. 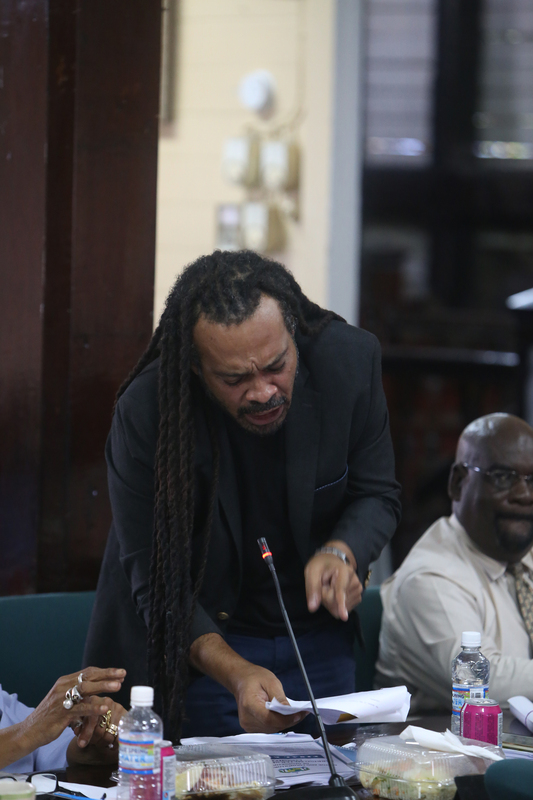 King attempted to dispute this statement, while declaring that APNU+AFC did not enter into a contract with SCS but the council did. 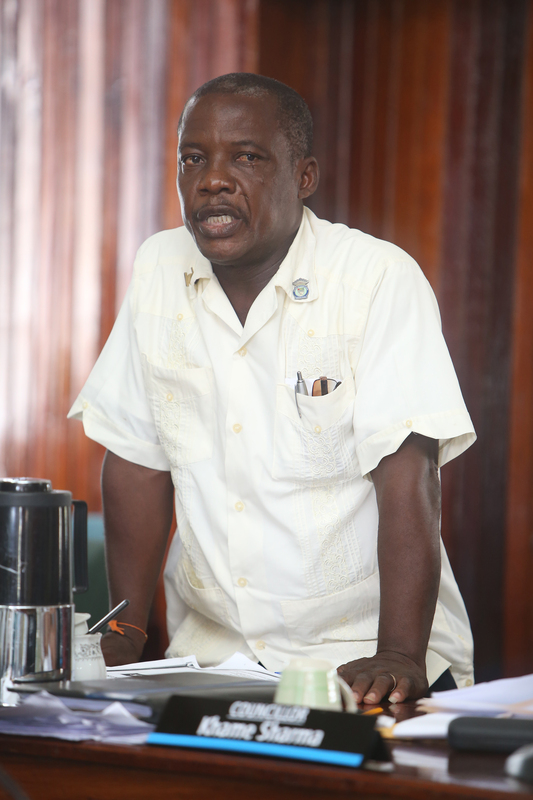 Councillor Junior Garrett, who was part of a council delegation that visited Mexico City and Panama in a fact finding mission on SCS’ operations, told councillors that the unfavourable terms in the contract were not something to worry about since “sometimes Third World countries must bend over backwards to attract capital investment.” The practising accountant argued that this concession was mitigated by the “billions in grants” given to this country by the ABC countries. 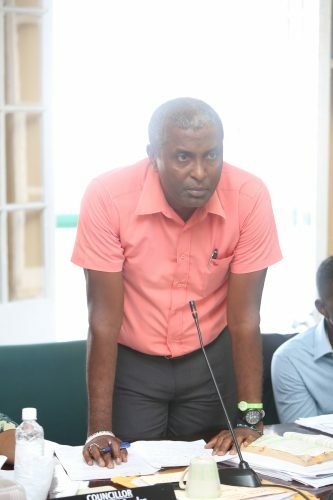 “Are we not smart enough to use this shortcoming against them?” he asked before detouring into an argument equating the reproductive choices of the women councillors to the negotiation process. “When you were pregnant, did you abort your baby? Why then should we throw away a contract which is ours?” he demanded after presenting the baffling analogy. While the analogy went uncontested, the claim of ownership did not. Councillor Marks demanded that Clarke speak only for himself as she “was nowhere when this contract was signed” and therefore did not own it. At the end of the four hours, Chase-Green implored the councillors to remember their constituents, who would today be asking for a new bridge or street light or cleared drain. She asked councillors to imagine returning to those constituents in 2018 and saying they wanted to do this for them but had no money. Following her presentation, she called for a vote and 13 councillors voted to continue the project with a renegotiated contract. Those councillors were Chase-Green, Caesar-Murray, Henry, Clark, Garrett, Winston Harding, Oscar Clarke, Trichia Richards, James Samuels, Noelle Chow-Chee, Monica Thomas, Heston Boswick, and Yvonne Ferguson. Councillors Ferreira, Goring, Marks, Mentore, Akeem Peters, Sophia Whyte and Phillip Smith voted to await the court’s decision. A continuation of the contract was the first option presented by the Metered Parking Renegotiation Committee. This option, however, came with seven caveats, including hosting public meetings to apprise all stakeholders of the findings of the committee and to articulate and further discuss the areas that should be included in the new contract; being provided with any and all documents by SCS Inc within reasonable time when requested, including those of a financial nature; as well as being provided with relevant document such as a feasibility study, business plan and environmental impact assessment. The committee also called for due diligence to be observed as it related to any new agreement or amendment to any existing agreement and the completion of an independent “Project Analysis” done to offer proper guidance.